The SABN (South Asian Broadcasting Network) is the roof for an international network of producers / broadcasters who will focus onto social / cultural / educational topics coming from and / or linked with South Asia (region: India, Bangladesh, Pakistan, Sri Lank, Goa with touch to Nepal, Buthan, Afghanistan…). The main target is to deliver a knowledge transfer with uniquely formats (as so called InfoEduTainment) for an inter-cultural dialogue between South Asia and the rest of the world (‘globalized village’). Under the new given (political and economical) circumstances between India and Europe and the inauguration ceremony on 11th May 2012 for the “Days of India in Germany 2012-2013 “ in Hanseatic City Hamburg (Germany) the SABN – South Asian Broadcasting Network will be setup and expanded during next years internationally. 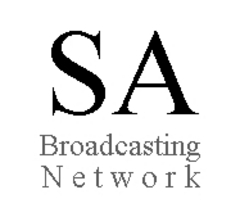 The idea of the SABN – South Asian Broadcasting Network was created in North Germany in a very early stage already in September 2007 by ElJay Arem , the founder/owner of the promotion initiative IMC – India meets Classic . Mr. ElJay Arem himself became (South-)Asian Correspondent on 1st June 2012 for the DHD (German Radio Broadcasting Service), see press release . 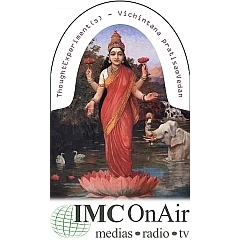 The IMC radio shows are being broadcasted for now in Austria, Germany (Berlin, Hamburg) and Switzerland (via FM/Cable + worldwide as webradio) and are uniquely of its kind in the whole German language area as all years radio programme for Indian (music) culture. Indian E-music.... the right mix of Indian Vibes ! Indian E-music... the right mix of Indian Vibes ! 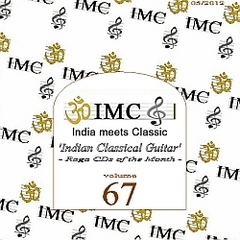 Since March 2006 the overall concept of “IMC – India meets Classic” with monthly broadcastings about Indian music culture exists unchanged. On 1st December 2011 in Berlin (German capital) started a new format of IMC as “world culture radio”. The new format is titled as “Thought Experiment(s)”. The motto: Pre-thinking by Cogitation. In “Thought Experiment(s)” new theoretical considerations (hypotheses) can be associated for use with reference to empirical evidence on social situations, without imposing their verifiability. The “logical error” as a possible risk is part of the concept. The claim of “absolute truth” is not enforced. In Sanskrit, the ancient Indian language of science “thought experiment” is called “Vichintana pratisamVedan” and refers to the Vedic period. The word “Veda” is used in India to mean “knowledge”. This knowledge includes the Vedic scriptures, just as the religious and secular knowledge.